Bringing along a map of the Cotswolds definitely has its benefits. The most obvious benefit is in knowing where you are now in relation to where you want to be within a certain timeframe. With 787 square miles covering England’s largest Area of Outstanding Natural Beauty (AONB), you will definitely need a map to plan your itinerary as well. Affectionately known as the Heart of England, the Cotswolds is located in west-central England encompassing the 6 counties of Gloucestershire, Oxfordshire, Wiltshire, Somerset, Worcestershire and Warwickshire. A large part of the AONB area is administered by the Cotswold local government district, itself located in Gloucestershire. A closer look at a map of the Cotswolds reveals that its spine runs northeast to southwest through these 6 counties with its western and northern edges marked by steep escarpments, aptly known as Cotswold Edge. Its eastern boundary is Oxford while its western boundary is Stroud. 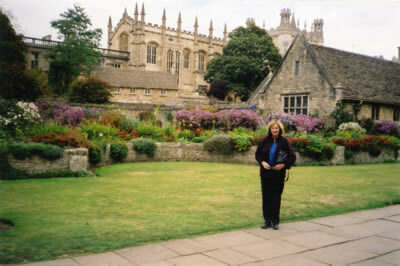 Other notable settlements in Cotswold include Bourton-on-the-Water, Chipping Campden and Winchcombe with large urban centers like Bath, Cheltenham and Dursley virtually surrounded by the AONB. Explorations of the Cotswolds reveal that it is peppered by sleepy ancient limestone villages and modest towns surrounded by the beautiful English countryside. It will be observed that the limestone varies in color as one travels through the Cotswolds – rich honey in the northern parts and gradually becomes yellowish to cream in the southern areas. The right map of the Cotswolds will also reveal numerous historic structures dotting the area. Medieval castles like the Beverston Castle, Calcot Manor and Sudeley Castle continue to amaze visitors while so-called wool churches like St. James in Chipping Campden call to the flock and the curious. Indeed, it is possible to plan an entire itinerary based on the right maps of the AONB, be it an itinerary for adventure activities or an itinerary for romance. Look at your map of the AONB and you will see that getting to Cotswolds’ tourist attractions is quite easy. Cotswold lies between the M4, M40 and M5 main motorways with the non-motorways including A46, A419, A40 and A429. Ancient Romans have also traversed these routes with a few even laid down by them including the Fosse Way and Ermin Street; think of your travel to and from Cotswold as a step back in time albeit on motorized transport. Indeed, you must have a map of the Cotswolds while planning your itinerary and while doing your tours of the beautiful AONB. You will find that getting lost in Cotswold is enjoyable but only when you purposely do it and you know how to get to where you are going to, eventually.